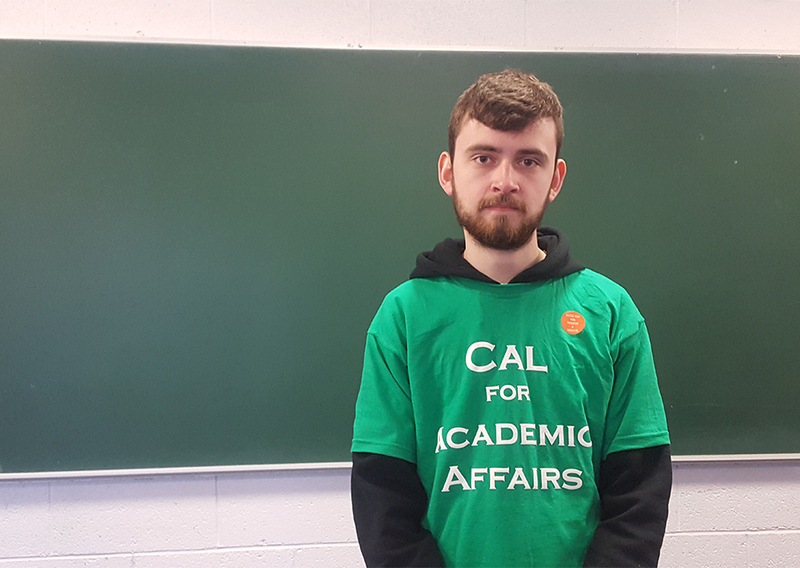 Callaghan Commons is a final year analytical science student, current health and science convenor and the sole candidate for DCU Students’ Union VP for Academic Affairs. Commons wants to introduce interactive study spaces, wants to extend the 24-hour access to the library to peak assignment time and to work with boards to increase the speed in which continuous assessment feedback is given to students. The reason Commons wants to introduce the interactive study spaces is because he recognise that people learn in different ways and he wants there to be a space that will optimise everybody’s learning techniques and encourage access and equality in education. Commons believes that his experience in the Students’ Union to date and his commitment to student politics makes him the perfect candidate for the job. Commons acknowledges that the Cassell’s report has still not been addressed by the Government and so he wants to continue working with the Union of Students of Ireland to campaign against an income-contingent loan scheme. There is an erasmus network set up in Ireland but it has not been fully implemented in DCU and that is something Commons would like to change if he was elected. “We have loads of Erasmus students in DCU. We have students who come into DCU on Erasmus and who leave DCU on Erasmus,” Commons said. “The Erasmus network is setup to connect international students in DCU to connect them with other international students to avoid them from feeling left out and gives them discount on flights. He also wants to work with the newly-established Erasmus society to ensure that international students feel comfortable while at DCU.